There are numerous ways you can appreciate your boss. We are aware that bosses can sometimes get on your nerve, but rest assured that they have their own soft centres as well. One of the ways to get into the “good book” of your boss is by showing appreciation anytime the opportunity calls. 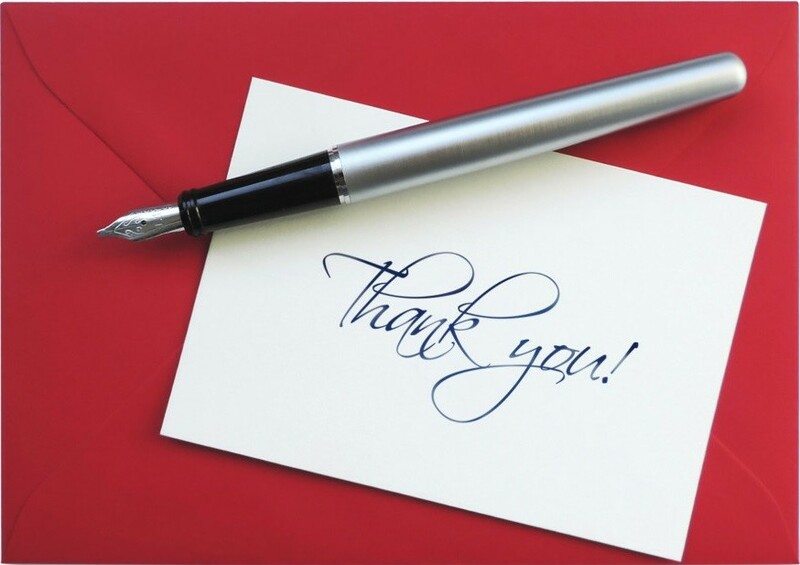 There are numerous ways you can show appreciation to your boss, but one of less expensive and very effective way is to drop a thank you note on his/her desk. 1. I would like to thank you from the bottom of my heart as you heeded my request for a pay increase. With this pay increase, I would work sincerely and try my best to rise above your expectations. 2. Thank you boss for the generous increase in my salary. I look forward to hear more such pay increases as my tenure with the company increases. 3. I’m glad that you took note of my performance and rewarded it with a pay raise. Thank You boss! 4. I am glad that you have taken note of my performance. Thank you so much. 5. By giving the bonus you have made me feel that am very much a part of the company. Thank you so much. 6. You will always be my guiding star throughout my career. Thank you and keep bestowing me with your precious advice. 7. Thanks for helping me to identify my skills and strength during all the time I worked with you. Your advice will surely benefit me to raise my talent in future jobs! 8. Your consistent guidance helps me to increase my potential in work. You show me the path of brighter world, which makes me able to grasp this opportunity in career. Thankful to you Boss! 9. I wish to say Thank you for tolerating my mistakes. This helped me to give my best to the company. 10. I am so glad to have a boss like you. You stood by me and motivated each day to be the best and now you have surprised me with a salary increase. I don’t think anything has made me happier in the recent months. 11. Thanks for providing me the support when I most needed it. You are more than a boss to me and you have rewarded me with a pay raise. All I want to say is…………. Thank you boss! 12. Working with you has been a privilege. Your mentoring has shaped up my professional life. I would like to thank you from the bottom of my hearts for this generous pay raise. 13. You always keep me on track. I deeply appreciate all you do and say for me. A big Thanks to you! 14. Thank you for having faith in my abilities and for exhibiting this gesture of giving me a bonus. I never want to disappoint you with my work. 15. I work every day to be a great value addition to our company. Thank you for the bonus and motivating me further. 16. Thank you for going above and beyond for all of us here in the workplace. 17. Thank you for your constant encouragement. I am happy to call you my boss. 18. Thank you for your guidance and support. You are a one-of-a-kind boss. 19. Ever since I have started to work under your leadership; I have learned a lot which really helps me to become a better person. Thank you! You are the best boss ever. 20. From being nothing to something, I have traveled a long journey under your guidance. Thanks boss. 21. I am proud to call you my boss. Thank you for everything you have done for me. 22. I just want to thank the best boss in the whole world. Thank you for helping me to become mature in this career. You have taught me a lot. Thank you. 23. I worked hard each day to be the best in the company. Thank you for the pay raise and motivating me further. 24. Thank you for the opportunities you have given me to sharpen my skills. It means a lot to me to know that you appreciate my work. It is my joy to say ……………Thank you boss! 25. I will never be able to thank you enough for such a generous pay raise. It was a nice surprise and it has ended my month on a high note. 26. It is one thing to be a boss, another thing to be a mentor but a completely different thing to be a leader. We are proud to be led by a boss, mentor and manager like you. Thanks for everything. 27. It really feels so amazing working in your positive environment. Working under your management is indeed a great opportunity for any individual like me. Thank you. 28. My monthly targets do not come in the form of numbers and charts – they come in the form of praises from my boss. Thanks. 29. My skills and talent would have gone with me to the grave, if you hadn’t spotted them and inspired me to go forth and be brave. Thanks boss. 30. A million thanks to the best boss in the world. Thank you for giving us some words of encouragement and full support even if it is not related to our work. You are amazing. Thank you and God bless you. 31. After working with a flawless boss like you, I have started feeling a little left out when I am with my friends. Every time they say bad things about their bosses, I really have nothing to say. Thanks for making me feel like an outcast. 32. As my boss, I feel you deserve thanks for your ongoing support and leadership. 33. Because of you, our workplace feels like a community. Thank you from all of us. 34. Thank you for the concern shown by you in my future career growth opportunities in this organization. I hope I can learn as much from you as possible. 35. I sincerely thank you for the gesture. You can expect a similar dedication and sincerity from my side in the future. 36. You can expect major contributions from my side to the growth of the company. Thank you for the kind gesture. 37. You have given me a chance to grow in this organization by guiding me through all throughout. Thank you for being a teacher and thank you for the bonus that you have given me. 38. Thank you for letting me know that my work is appreciated. Thank you for the excellent bonus. 39. You motivate your employees, you take tough decisions. You support your colleagues, you are a true inspiration. Thanks boss. 40. Thank you Boss for all the help and efforts you have made for me while I have worked for the company. Your assistance will help me to brighten my skills in future job. 41. Your continuous support and motivation made me reach this day. I wish I could get a boss like you in all my future jobs. 42. You know very clearly how to bring best out of your employees. You teach me how to transform my mistakes into my skills. Thank you Boss!! 43. Your appreciation becomes my inspiration and today your encouragement makes my career flourish to this height It’s my pleasure working with and for you. You teach me professionalism. Thank you Boss! 44. I will not feel coy about telling you how I feel about the bonus. I am really thankful. This will help me keep myself energized and focused at work and overtime. 45. It’s being hard for me to leave a Boss and company like you. I am lucky to find a mentor like you! Goodbye and Thank you! 46. You are the person who make my workplace my second home. Thanks to the wonderful boss! 47. Thank you for your understanding and support. I couldn’t ask for a better boss. 48. Your decision-making skills always inspired me to be like you! Thank you for all the lessons Boss! 49. Thanks for investing your precious time on me. Thanks for being with me at every step of obstacle in your company. 50. I always wonder how you deal so wisely with hundreds of employees around! Your grace and decency makes me hooked of you. 51. Thank you very much because your leadership has been my inspiration each day. Thank you. 52. The biggest problem in having an extraordinary boss like you is that I will never be happy working for anyone else. Thanks for being the best boss but you have really limited my career options because I will follow you wherever you go. 53. Please accept our thanks for being such a great boss to all of us. 54. Since the day I started to work with you; I know I’ve changed a lot that really helped me to become a better person inside and out. You are one of the reasons why I’m always trying my best. Thank you my boss. You know I appreciate you in so many ways. 55. Stories of what an amazing boss you are, have gone viral in my family. Thanks for being a cool boss. 56. Thank you for all of your assistance. I am honored to have you as my boss. 57. I just wanted to offer small thanks for being such a wonderful boss. 58. I want to thank you for being a great boss. I have enjoyed working with you over the years. 59. I want to thank you for helping me every step of the way. You are an amazing boss. 60. I want to thank you from the bottom of my hard for being such a supportive boss. 61. You are without doubt a terrific boss and I thank you for your support. 62. Thank you for letting me know that all the extra work and late hours that I have put in were really of great value to you. Thanks a lot Boss for appreciating my work and thanks indeed for my bonus. 63. Thank you for my salary raise. You have the perfect knack to spot talent and hard work. This salary raise means so much to me as I have been through some tough financial problems in the past few months. 64. A boss such as you deserves a thank you for being an inspiration to us all. 65. A boss such as you deserves an international holiday for being so wonderful. 66. Our whole team would like to thank you for being our wonderful boss. 67. Thank you for your kind understanding. You are a terrific boss to us all. 68. You have indeed expressed great trust in my work abilities by giving me an excellent bonus. I would always try to do my best and will make it a point to never disappoint you in the future. Thank you. 69. I’m so thankful that you are my boss. You are not just a leader to me but you are also an inspiration. Your hard work has been my inspiration since I became a member of your staff. Thank you. 70. If it wasn’t for you, we would not know the meaning of leadership. Thank you. 71. It is an honor to work for such a great boss. Thank you for being you. 72. My salary raise is more than what I expected. I am so pleased that you valued my skills, contributions and achievements with a generous pay raise. Thank You Boss! 73. I deeply appreciate the raise you have given me, particularly in this season of economic downturn. Thank you boss!